Surveying Modernization Bill Passes - Steigerwaldt Land Services, Inc.
Today is a day of humble satisfaction for the majority of Land Surveyors in Wisconsin. Yesterday, with a unanimous voice vote, the “Surveying Modernization Bill – AB 506” passed Senate. 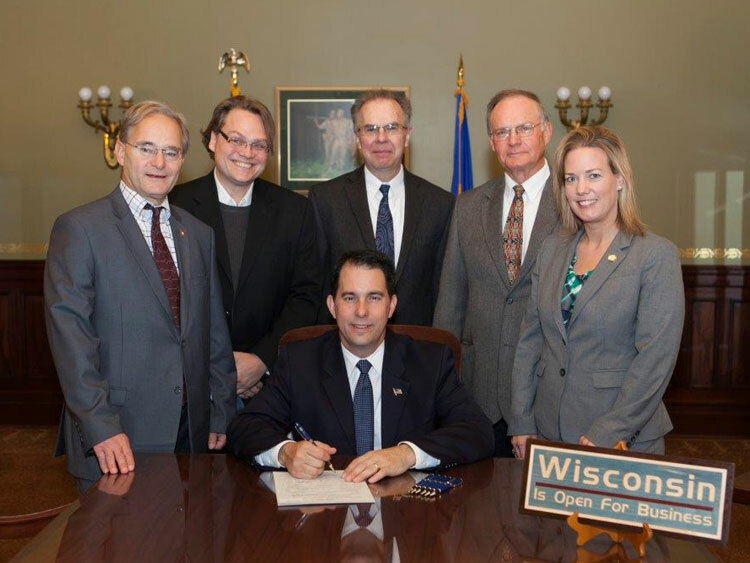 This has been a long process for the Wisconsin Society of Land Surveyors Legislative Committee and the various lobbyists the WSLS has employed over the past ten years. All that remains is the governor’s signature for the bill to become state law, which will likely happen late spring / early summer. Among its changes, the bill requires that maps that depict “boundaries” and are not a survey need to include a disclaimer as such. The other major changes are updated language to include such practices as utilizing GPS for surveying, which the current laws do not address. Another item the bill defines is the use of the term “Professional Land Surveyor” or PLS to supplant the previous standard of “Registered Land Surveyor” or RLS. This is to fall more in line with the national norm. The majority of states officially refer to surveyors as “Professional Land Surveyors” and from now on, so will Wisconsin.